Pharmaceutical Solutions Industry Ltd (PSI) a member of Ambah Group is the leading sterile injectable manufacturer in Middle East and Africa. Our manufacturing facilities in Saudi Arabia are GMP certified and equipped with the latest production technologies with over 40 years of proven reliable experience worldwide in contract manufacturing of parenteral solutions in plastic and glass bottles, plastic bags, as well as plastic ampoules. 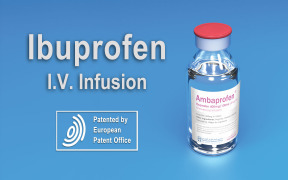 Recently, Ambah/PSI has developed the first Ibuprofen intravenous (IV) infusion in the world (400mg/100ml). Successfully registered as Ambaprofen and Ambafen (Ibuprofen 400mg/100ml IV Infusion) through the health authorities in Germany, Spain, and Saudi Arabia, its patent has been granted by the European Patent Office (EPO patent no: 2636406) and United States Patent and Trademark Office (uspto Patent No: US 9351926 B2) for its dosage form with the approval of the European Medicines Agency (EMA). Pharmaceutical Solutions Industry (PSI) offers a wide range of IV analgesics like Ibuprofen and Paracetamol in ready for infusion forms. Contact us for more information. Pharmaceutical Solutions Industry (PSI) offers a wide range of IV solutions which includes antimicrobials; antibiotics and antifungals. Contact us for more information. Pharmaceutical Solutions Industry (PSI) offers a wide range of standard IV solutions which includes dialysis solutions. Contact us for more information. Your message will be sent directly to Ambah/PSI and will be answered at their discretion.